Since 2006, professional dog walking has been my job and business and, yes, a full time job. The hikes are 1.5 - 2 hours on the trails. The length of the hike depends on the weather and the dogs' activity level that day. Are there any requirements for dogs to join the hikes? 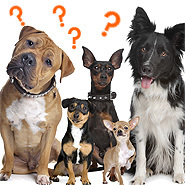 Yes, dogs must be friendly to other dogs and well socialized to come on the hikes and must be spayed or neutered and up to date on their vaccines or titre tested. Also, for safety purposes, all dogs are started on a long line so it can get used to the routine but also to establish its recall and packing ability. When I am confident in these abilities, your dog will be allowed the privilege of running free within the pack. Will you be walking my dog, or do you work with others? I will be the sole dog walker for your dog as it is important who will have access to your home while you are out. I will be the one aware of your dog's health issues, habits, and your important contact information. Do you walk in the rain, snow, or cold weather? Where do you go on your walks? Your dog will be exposed to many different off leash settings in the Abbotsford/Mission area. Some of the trails we explore are Norrish Creek, Silverdale Hydro Pools and the Nature Trail in Mission as well as the Sumas Prairie Vedder River dike systems. In safe settings, they are allowed to run and play, hunt and swim to their heart's content! I really try to go to places that are less populated by people and other dogs so the dogs can get their yaya's out without being startled. Do you have a city license and/or insurance? I am an insured, licensed and bonded professional dog walker. My business is licensed through the City of Abbotsford and I have liability insurance with Canadian Northern Shield. How should I pay you, and how often? Depending on the frequency of your dog walks: 1-2 walks a week, paying weekly is good; 3-5 walks a week you can pay either bi-weekly or monthly, whatever works best for you. I accept checks, bank transfers or cash. Do you offer special services other than dog walking? I offer boarding and in emergencies for my regular clients will provide daycare and pet visits when needed. Do you require a cancellation notice if I do not need your services that day? Yes, I require 24 hours notice for cancellations or I will charge the full day rate. I have a maximum number of dogs and, if there is a spot open, I have eager dogs waiting to take your spot.